Instagram recently released published a fairly comprehensive guide for parents. 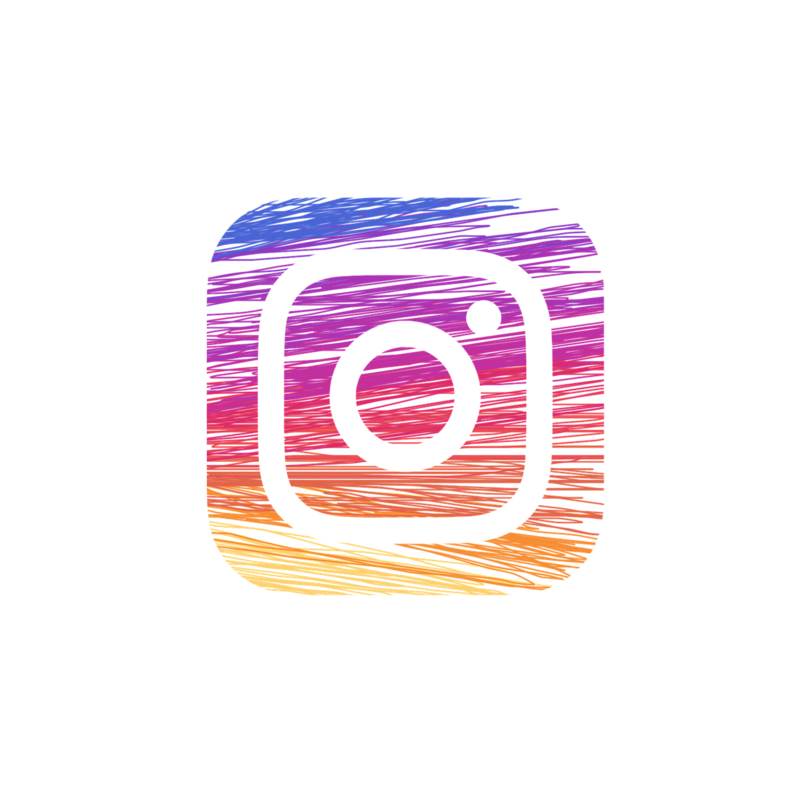 A Parent’s Guide to Instagram, available to read online as well as download as a PDF, is intended to help parents understand how kids are using Instagram and how they can help their children use Instagram in a responsible manner. To that end the guide include a glossary of terms and discussion questions for talking with kids about their Instagram use. The guide also includes directions on how to use adjust privacy settings, how to block users, how to manage comments, and how to monitor time spent using the Instagram app. The online version of A Parent’s Guide to Instagram includes a video of parents who work at Instagram talking about how their kids use Instagram. The online version of the guide includes interactive modules through which parents can see how to access important settings in the Instagram app. One setting that even experienced Instagram parents might be surprised to find is the setting for monitoring how much time is spent using the app and the setting to have a reminder sent when a set daily limit of time on the app has been reached. As you prepare for open house night or the first parent-teacher conferences of the year, consider bookmarking A Parent’s Guide to Instagram and referring parents to it if and when they ask you about how manage their students’ use of social media. The discussion questions in the guide could be used by you in a classroom setting as well as by parents talking to their kids at home. H/T to Make Use Of. At the end of yesterday’s post about making printable story cubes I mentioned that I’m hosting a free webinar next week. The webinar will go into detail about using the printable story cube and other handout templates that are offered by Storyboard That. Storyboard That is a great tool for those who don’t consider themselves to be artistically-inclined because Storyboard That offers more than 40,000 pieces of artwork that you can drag and drop to make great designs. And next Tuesday at 4pm Eastern Time you can learn all about how to make great looking handouts through Storyboard That. In Making Great Handouts With Storyboard That Templates you will learn how you can use the features of Storyboard That to create great-looking worksheets, story cubes, and instructional templates. And for the entrepreneurial teacher, this webinar will include ideas on making worksheets and other handouts to sell on places like Teachers Pay Teachers and Gumroad. Register here for Making Great Handouts With Storyboard That Templates. The webinar will be recorded for those who cannot attend the live broadcast. Everyone who is registered will be sent a copy of the recording, there is no need to email me to request a copy of the recording. Storyboard That started out as simple tool that anyone could use to create good-looking storyboards for a variety of purposes including explaining historical events, plot lines, and even business plans. Over the years Storyboard That has evolved to provide more than 40,000 pieces of artwork and dozens of templates for making everything from simple comics to timelines to complex flowcharts. The update to Storyboard That features a new templates and artwork for making worksheets and story cubes. Storyboard That’s new worksheet templates can be customized with any of the artwork that Storyboard That offers. To make your worksheet start by selecting one of the page layouts and then a template for the page. After making those selections you can customize the template by adding any of the shapes, text boxes, and artwork that Storyboard That provides to your worksheet. To add items to worksheet simply drag them from the artwork menu onto your worksheet page. You can then customize the color, size, orientation, and spacing of the elements that you added to your page. 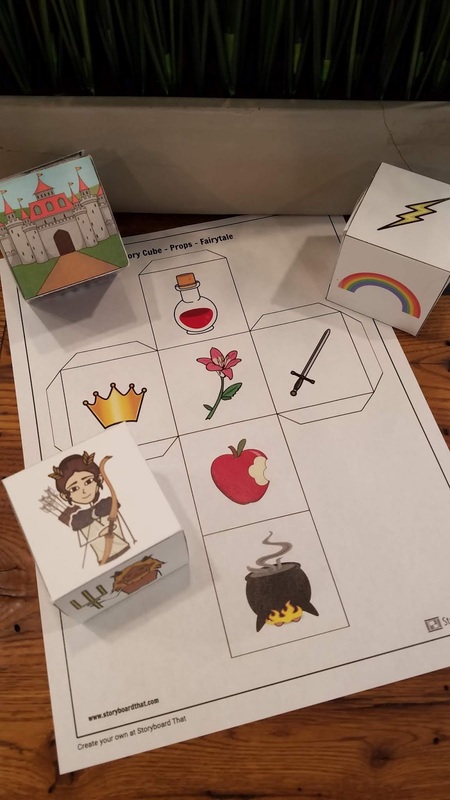 Storyboard That’s new story cube template lets you and your students design printable, foldable story cubes. The process of customizing a story cube is the same as that for customizing a worksheet. The only difference is that you have to select the story cube template instead of a worksheet template at the start of the process. You can use the template to make a story cube to make story starter dice that your students roll to generate a combination of words to use as the impetus for writing a fiction story. If you decide to try this method, make a cube that has verbs, a cube that has adjectives, and a cube that has nouns. Then have your students roll all three to come up with a combination to start their stories. You can drag and drop any of Storyboard That’s free artwork into your story cube before printing it. Storyboard That wants teachers to use the worksheet templates to make great-looking handouts for their students. And they encourage entrepreneurial teachers to use the templates to make materials that they can sell through services like Teachers Pay Teachers and Gumroad. In fact, that process will be explained in next week’s free webinar Making Great Handouts With Storyboard That Templates. This week I received two emails that reminded me that it is probably time to let new readers know about some of the other places and other ways to follow my work. 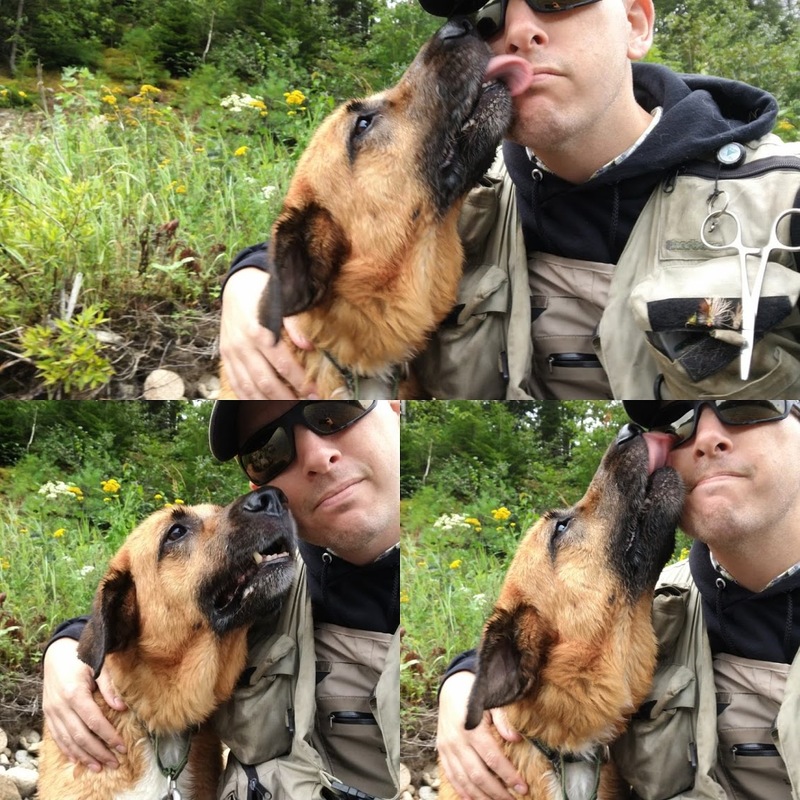 Here are all of the places where you can follow my work. YouTube – Every week I post three to five new tutorial videos on my YouTube channel. Pinterest – My blog posts are pinned to this page. Facebook – The Free Technology for Teachers Facebook page has more than 445k followers. Daily email – I do offer a daily email from FreeTech4Teachers.com. This is an automated email that delivers the day’s blog posts to your inbox. You can sign-up for that here. Two New Google Classroom Features That Everyone Has Been Asking For! Vocabulary.com is an excellent vocabulary study service offering thousands of vocabulary practice lists and activities for students in elementary school through graduate school. In addition to lists of SAT, GRE, and other test prep words, you can find vocabulary lists that are attached to novels, historical documents, famous speeches, and current news articles. When you sign up for Vocabulary.com you will be given an assessment quiz in order to give you suggested lists with which to start your practice. After completing the assessment you can use the practice lists suggested by Vocabulary.com or choose your own lists from the huge gallery of vocabulary lists. One of the aspects of the Vocabulary.com activities that I like is the instant feedback for every practice question a student attempts. As you can see in the image above, if a student answers incorrectly on his first attempt, he will see the definition and the word in context. The Digital Scholarship Lab at the University of Richmond hosts the Atlas of the Historical Geography of the United States. This online atlas contains more than 700 historical maps of the United States. The maps within the atlas are arranged into eighteen sections. As a student and teacher of history I was drawn to the sections devoted to population, territorial expansion, political parties and elections, and military history. Many of the maps within the Atlas of the Historical Geography of the United States can be animated to show changes over time. For example, in the section on States, Territories, and Cities you can view individual maps for each decade from 1790 to 1930 or you can click the “animate” button to see the maps put together in a time lapse animation. All of the historical maps in the Atlas of the Historical Geography of the United States are displayed on top of a contemporary outline of the United States. Many of the maps have interactive elements. For example, in the section on Political Parties and Opinions you can click on a county or state to see how people voted in that area. To help students understand what they are seeing on each map, the Atlas of the Historical Geography of the United States includes a text option that can be selected while viewing a map. Clicking the “text” box will display relevant information in the sidebar of the map. The Atlas of the Historical Geography of the United States is a treasure trove of resources for teachers and students of U.S. History. In looking through the maps I could see a number of activities in which students compare maps from two categories and try to develop correlations between them. For example, I might ask students to compare maps from the section on Transportation with maps from the section on Boundaries. Trying to schedule a meeting with just one other party can sometimes be challenge. Throw in a second, third, or fourth party as often happens with IEP meetings and picking a meeting time can feel like an impossible task. Fortunately, there are some tools that can make scheduling meeting times a little bit easier than exchanging volleys of email messages. Choice Eliminator is a Google Forms Add-on that lets you create a Form on which choices disappear after they have been used. For example, if I create a Google Form that has ten meeting times listed on it, once a meeting time has been selected it will disappear from the options available to subsequent visitors. Using Choice Eliminator is a good option for teachers who have personal Google Accounts, but don’t have G Suite for Education accounts. Watch the following video to learn how to use Choice Eliminator. Doodle is a free tool for scheduling group meetings with the input of all group members. Doodle is essentially a polling platform. To use Doodle you create a meeting title, select a series of dates and times for a possible meeting, then invite people to choose the dates and times that work best for them. As the administrator of a scheduling poll you can set the final meeting time based on the most commonly selected date and time. Watch the video below for complete directions on how to use Doodle. Calendly is a tool that integrates with your Google Calendar and makes it easy to create appointment slots with just a click or two. More importantly, people who want to schedule an appointment with you just have to click a time on your calendar and enter their names in order to reserve an appointment. Visitors do not have to have a Google Account to view or enter information into an appointment slot. Visitors who make appointments with you through Calendly can sync the appointment to their own Google Calendars, iCal, or Outlook calendars.